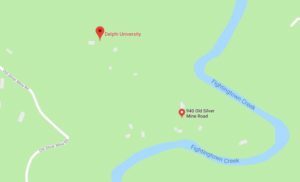 After our recent visit, Delphi University of Spiritual Studies is complex to describe … likely because the curriculum offers diverse healing modalities for the body and mind in a loving spiritual environment. 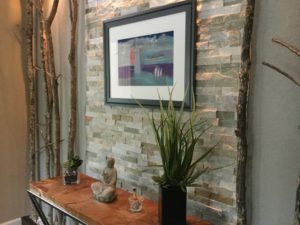 Kimberly and Charles Curcio continue the legacy of Kimberly’s parents for an “energy academy” and recently completed the third temple, one dedicated to healing. Charles told me that each temple was inspired by his dreams. The largest temple, dedicated to wisdom (shown in the photo), is a meeting room inside surrounded by a gallery of paintings, statutes and other artifacts honoring worldly religion leaders. The three temples create a sanctuary in the Blue Ridge Mountains, with scenic views of the rising and setting sun each clear day. We visited the temples in the evening and marveled at the sights of a beautiful sunset and fireflies dancing around the blooming roses and the fountain with a sitting buddha statute guarding a huge crystal. Charles told us that the crystal weights over 3,000 lbs. and they used a crane to set the crystal in its place. 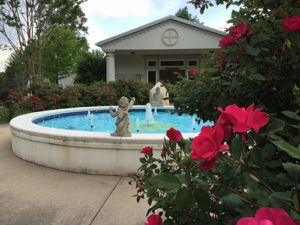 According to Charles, this Blue Ridge sanctuary and university are located in a sacred place of meditation and worship by the Cherokee Indi ans centuries ago. The campus sits on top of a ridge with steep ravines on both sides. Charles calls it a peninsula created by a bend in the river. The “cradling” river gives a stereo-sound effect of rushing water throughout the campus. 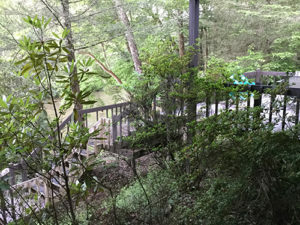 Both the dorms and classrooms have balconies and multiple stairways to view the river. On warm sunny days, the students will take dips or even use floats to spin down the running water. Kimberly, Charles and our other friends, Audrey Delahunt and Linda Griffith, teach classes in the “Delphi System of Holistic Healing and Regeneration” along with about 8 other professionals with expertise in a wide range of metaphysical and energy modalities including in-depth channeling, lotus healing, rohun therapies, psi-scan and Brazilian kundalini energization healing. 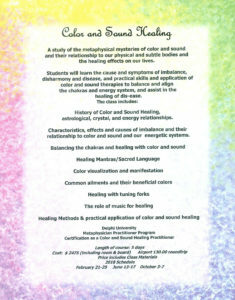 Among the descriptions of each class, I chose the color and sound healing one that Charles teaches as an example and which is shown in the photo to the left. 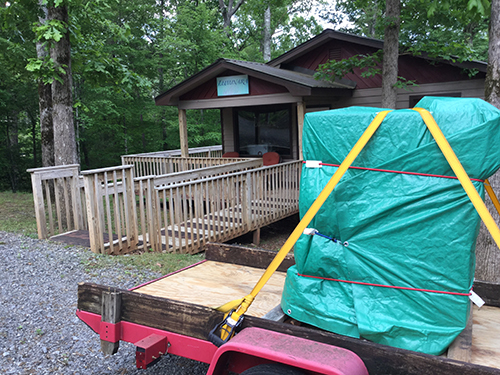 The 2018 schedule of special events, workshop and group retreats can be found here. 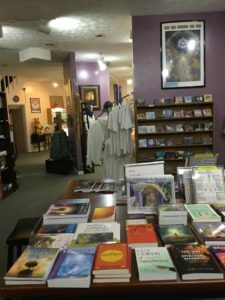 I admit when I typed some of these modalities, I realize my own limited metaphysical knowledge but I am especially inspired by those involving energy to access the healing potencies of the mind, body and soul. 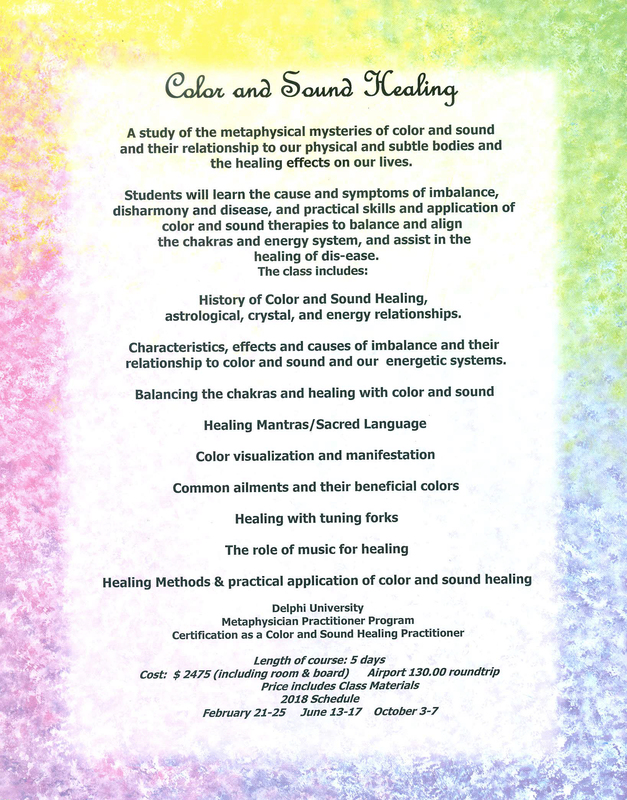 If anyone is interested in being added to the mailing list for a possible retreat centric on the healing energy of the WIT Technology, please email me at dana@aquanew.com. Kimberly and I are brainstorming for Spring of 2018 and would appreciate any recommendations on possible speakers with their preferred expertise in energy (electron) healing and use of both the WIT Machine and Polarized Water (Watt-Ahh). It also makes “metaphysical energy” sense that Watt-Ahh, enriched with electrons, is available for purchase on campus at the beautiful Oasis gift shop (shown in the photo to the right) along with crystal jewelry, books, clothes and inspirational art prints. The Luminara Wellness Center is located adjacent to the three-temple sanctuary. Rob has improved the internal cell design of the 10-cell WIT Machine and we towed a replacement machine on our trailer to the Luminara center. It is about a 9-hour drive from Sarasota, FL. 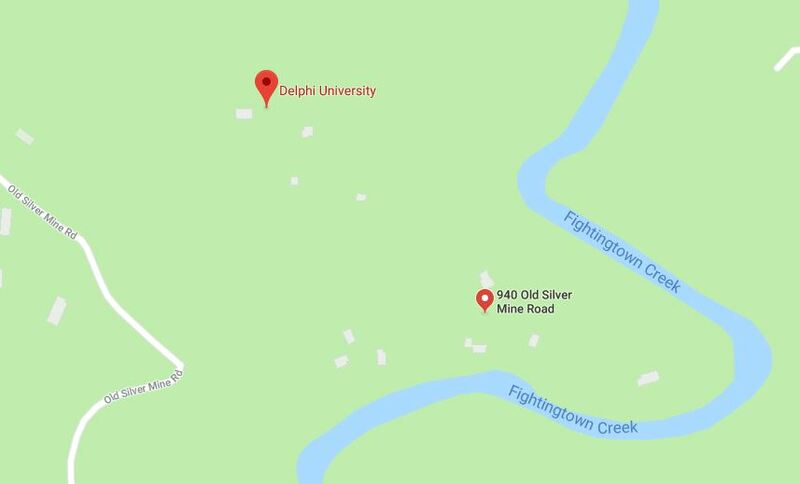 to Delphi University. Kimberly and Charles were wonderful hosts, giving Rob and me a delicious dinner, a soft cozy bed and an opportunity for an early morning bird walk (Rob snoozed in). The WIT Machine is available by appointment for both students and the public. We know of several Watt-Ahh customers who have made appointments and traveled to the Blue Ridge Mountains to breathe the Dioxytetrahydride Gas. Also, we delivered a new pair of goggles to diffuse the gas into the cornea of eyes that are helping those with low vision issues. Kimberly told us that before we arrived, she received two separate inquiries from women concerned about their vision. We are honored that Kimberly and Charles decided about a year ago to bring a WIT Machine to their “Energy Academy” and integrate it into Delphi’s holistic healing and regeneration system that trains holistic practitioners and others who journey there from all corners of the World.